Becoming a homeowner is an American dream. However, the process can be nerve-wracking, especially for the first time home buyer. As one of the biggest financial decisions you will ever make, it is important to prepare yourself for every aspect to help make the experience as positive as possible. This comprehensive step-by-step guide is designed to guide first time home buyers through the first time home buyer loan process. Before the house hunting process even begins, you will need to take a close look at your financial health. Start by familiarizing yourself with your credit history. You are allowed one free copy of your credit report annually from each of the top major credit bureaus: TransUnion, Experian, and Equifax. Your credit report will provide a list of your current debts as well as your credit history. Make sure that all the data is accurate. If you find any errors on your credit report, dispute them immediately. Next, you will want to determine how much house you can afford based on your income, debt, and monthly financial obligations. Most lenders recommend looking for a home that costs no more than three to five times the borrower’s annual household income if the borrower has a moderate amount of debt and plans to put 20 percent down. As everyone’s financial situation is different, you will need to determine how much you can realistically afford to put towards a mortgage. When trying to come up with an estimated figure, consider how much you spend a month. Write down where every penny goes, from housing payments and utility bills to kids’ activities and car maintenance. You will also want to look at how much money you have in your savings. Before buying a home, it is wise to have a built up emergency savings account with a minimum of six months of living expenses. Being aware of your complete financial situation can help ensure you do not get in over your head. As a first time home buyer, you will likely have access to grants, programs, and other forms of financial aid only available to first time buyers. These benefits make it easier to borrow with a lower down payment and with a low to moderate income. Start by looking at local grants and programs. Many areas offer a first time home buyer loan program that offers down payment assistance or gives a certain amount towards the purchase of a home. You may also want to look at other options outside a traditional mortgage. Insured by the Federal Housing Administration, an FHA loan typically comes with a competitive interest rate, smaller down payment, and lower closing costs than traditional mortgage loans. To qualify for this type of loan, you typically have to have a credit score of 580 or higher. You may still qualify with a lower score but will likely have to have at least a 10 percent down payment. There are also other types of affordable loans for the first time home buyer. USDA loans focus on homes in certain rural areas, while U.S. Department of Veterans Affairs (VA) loans help active-duty military members, veterans, and surviving spouses purchase homes. You may also want to look into Fannie Mae or Freddie Mac loans. These government-sponsored entities work with local lenders to provide affordable mortgage options to families with low to moderate incomes. 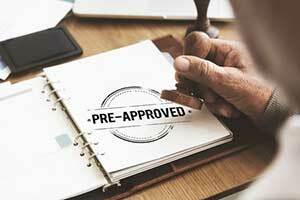 Many first time home buyers make the mistake of looking for homes before they even get pre-approved. At the very least, you want to get prequalified for a mortgage. 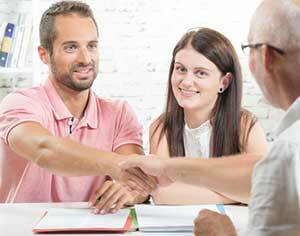 Various factors are taken into consideration when you apply for a mortgage. 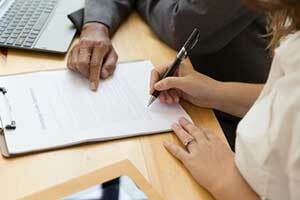 Many lenders will base their decision on your credit information and income. You may also need to verify your income documentation and show proof of your financial state. Getting preapproved for a mortgage puts you in a better bargaining position during your house hunt. You may decide to apply with multiple lenders in your area to increase your chances of getting a loan approved and to compare your options. However, remember that if too many lenders check your credit report it can ding your credit score. Once you are preapproved for a mortgage, you will know the maximum amount you can borrow. After acquiring your pre-approval, you will want to talk to reputable realtors in your area. Your realtor will perform a great deal of the groundwork for you, allowing you to focus on the house hunting aspect of the process. Some of the tasks that your realtor will take over include contracting listing agents to schedule showings, familiarizing you with the area you want to live, negotiating the purchase, and offering suggestions about home inspectors, insurance agents, and similar topics. 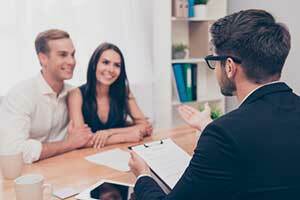 The knowledge of a realtor is invaluable during the home buying process. If you are concerned about any aspect of the buying process, your realtor can answer all of your questions and provide reassurance. Best of all, a realtor will not cost you anything upfront. After buying a home, the realtor will be compensated from the commission paid by the seller of the house. If you are planning to buy in or near northern Virginia, there are many premium realtors in the area with years of experience. Realtor Michelle Sanoske of Century 21 Redwood Realty has been a realtor in Virginia for four years and services Fairfax, Loudon, and Prince William counties. Kate Julian of City Chic Real Estate also has four years in the business and services northern Virginia, DC, and MD. Amy Donnelly of Samson Properties has recently returned to the real estate industry after a 27 year break. Other notable realtors to connect with include Ryan Mills and Josh Chapman. Working with a mortgage broker allows you to comparison shop to ensure you get the best deal with the best benefits. 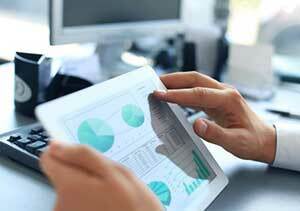 A broker will gather quotes from a variety of lenders and present them to you all at once. This stops you from having to apply to each lender separately which can be time consuming. A broker essentially acts as a middleman between you and the lenders and will provide you with information with your best interests in mind. As a first time home buyer, you will want to work with a broker who is reputable, knowledgeable, and accredited. You will also want to choose a company that has experience working directly with inexperienced buyers, such as Fairfax Mortgage Investments of Fairfax, Virginia. Fairfax Mortgage will guide you through each step of the home buying process, from applying for a first time home buyer loan program to closing the sale. Mortgage brokers make the home buying process much simpler by putting all of the information in front of you so that you can make an informed decision. To determine what will work best for each borrower, a broker will ask for key information, such as income and assets. The broker will also look at your credit report to try to get you the best rates possible based on your credit history. This is the most exciting step in the home buying process and one that should never be rushed. As a first time home buyer, you will want to choose a property that meets your family and lifestyle needs. Start by deciding on a neighborhood in an ideal location. Maybe you want a home near your work or want your children to go to a certain school. You will also want to decide between a home in the city (urban) or the country (rural). Once you have narrowed down a few of your favorite homes, take another tour of the inside and outside. Do not settle for a home that does not have the key features you are looking for, whether it is a big backyard where the kids can play or extra bedroom that you can turn into your private office. Remember that location can greatly affect the price of a home. Homes are often less expensive the further you get from a metropolitan area. However, you may not want to deal with the longer commute that you could face. 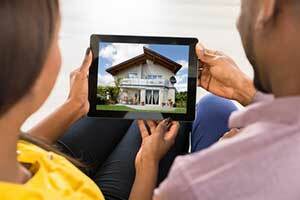 When looking at homes you may want to buy, inspect every detail. Test the plumbing by running water in the sink or shower. Take note of how strong the water pressure is and how long it takes to get hot. Also test the electricity. There should not be any pause between when you hit the switch and when the lights turn on. You may also want to check out the neighborhood. Does the street get a lot of traffic? It is conveniently located within close proximity to areas of interest, such as restaurants and shopping? You have finally found your dream home and could not be more excited. Before making it official, hire a professional to perform a home inspection. For the first time home buyer, this step is essential. In fact, purchase offers are typically contingent on a home inspection of the property to check for concerns like structural damage or things that may need repair. This protects you as the buyer by giving you the leverage to withdraw or renegotiate your offer if the inspection happens to reveal major problems. After a home inspection is completed, both you and the seller will get a detailed report of the findings. If you would like to continue with your purchase after finding out the results, you are free to do so. If there were issues found during the inspection that you feel that the seller should be responsible for, you have the option to ask the seller to pay for these necessary repairs before going forward. The seller also has the option to pay for the repairs or deny your request. If your request is denied, you can continue on with your purchase or withdraw your interest and look for another home. The home buying process comes with a great deal of paperwork. Fortunately, your mortgage broker and realtor will help you along the way. Remember that the hard part is over and the rest comes down to filling out documents and signing your name on the dotted line. The final hurdle will be the home closing, also known as settlement or escrow. This process involves everyone coming together to make the transaction final. If you are getting a loan, you will want to do one final review of your closing disclosure form. This will help you better understand the exact terms of your loan, your estimated mortgage payments, and closing costs. Closing costs typically include origination fees charged by the lender, as well as settlement and title fees, taxes, and some prepaid fees like homeowners insurance. Once the paperwork is complete, it will usually take a few days for the first time home buyer loan to be funded. After the check is delivered to the seller, you will receive the keys and can move into your new home. Purchasing your first home will likely be one of the biggest financial investments you will ever make. It is important that you do not take on more of a financial obligation that you can handle. That is why you want to work with a qualified mortgage broker like Fairfax Mortgage Investments. At Fairfax Mortgage, we offer consulting services to provide first time home buyers with expert advice and financial guidance. We also assist with qualification assistance to connect you with top loans. Our team will also introduce you to a variety of specialty programs, such as financing for military personnel and first time home buyers. If you are ready to start the hunt for your first home, contact the team at Fairfax Mortgage today to start the first time home buyer loan process today!